We are keeping it simple for you today. This is one of our favorite side dishes to make in the winter. 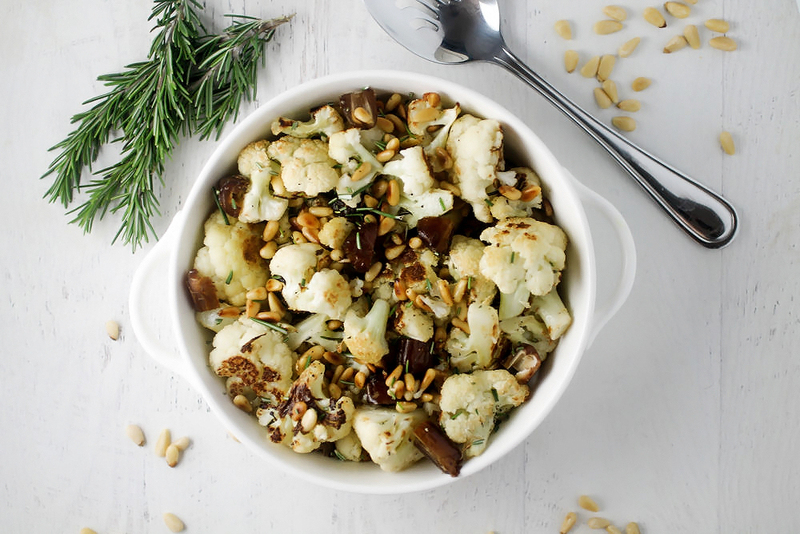 The combination of savory roasted cauliflower, toasted pine nuts and sweet dates just hits all the right spots. 🙂 Plus, like everything else on S4B, it’s really easy to make! Chop up the cauliflower into florets. Drizzle with olive oil, and then season with sea salt and pepper. Bake for 25-30 minutes until tender and nicely browned. While the cauliflower is baking, place a dry pan over medium-low heat. Add the pine nuts and toast for 2-3 minutes tossing frequently until golden. Set aside. 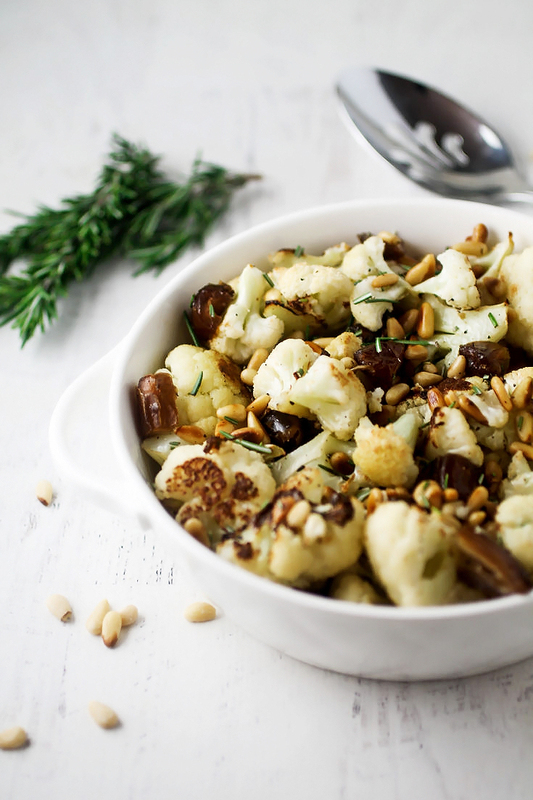 Mix roasted cauliflower, dates and rosemary into the pan with the pine nuts. Transfer to a serving dish and season with additional sea salt and pepper if needed. Double this recipe for a 4-6 people. 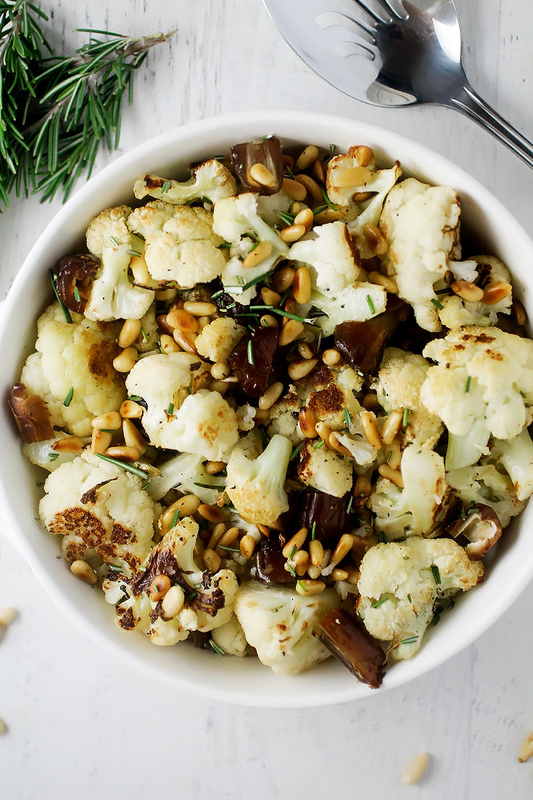 I love roasted cauliflower and this combo with the chopped dates, fresh rosemary, and Pine Nuts sounds so delicious! So easy and packed with flavor there’s no reason not to give it a try! Roasted cauliflower is one of my favorite things. I’ve never though to pair it with dates, but it sounds wonderful! Love how easy it is too! I used to *always* have pine nuts on hand in the kitchen! But now It’s been forever since I’ve used them to cook with, i DEFINITELY need to remedy that asap! Clever blend of flavours. A nice balance of nuttiness and sweetness, i bet. I cannot wait to give these a shot. Thank you for sharing! I never would have thought to put dates with cauliflower. What an interesting twist! This looks absolutely delicious.It looks so simple. This will make a wonderful summer meal. 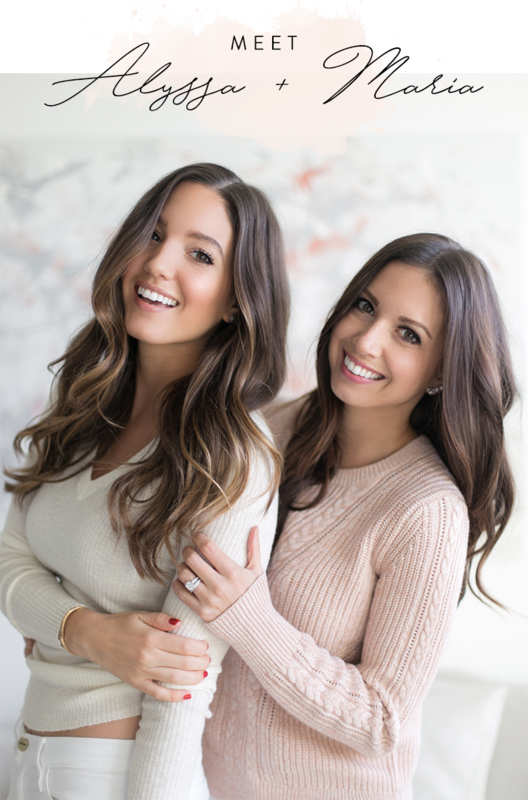 This seems like an amazing recipe, Alyssa and Marissa! Can’t wait to try it! I am a cauliflower addict. Its probably my favorite veggie. So count me in! How simple and delicious! i haven’t had pine nuts in forever but they really are so good, i’ll have to pick some up and give this a try. anything with dates, i’m in. That sounds so good! there is a restaurant here that offers something very similar and i always get it. trying yours! This is such a great idea! Perfect for a fall meal side dish. I’d really love to serve this at our next fall dinner gathering! What a great side dish! 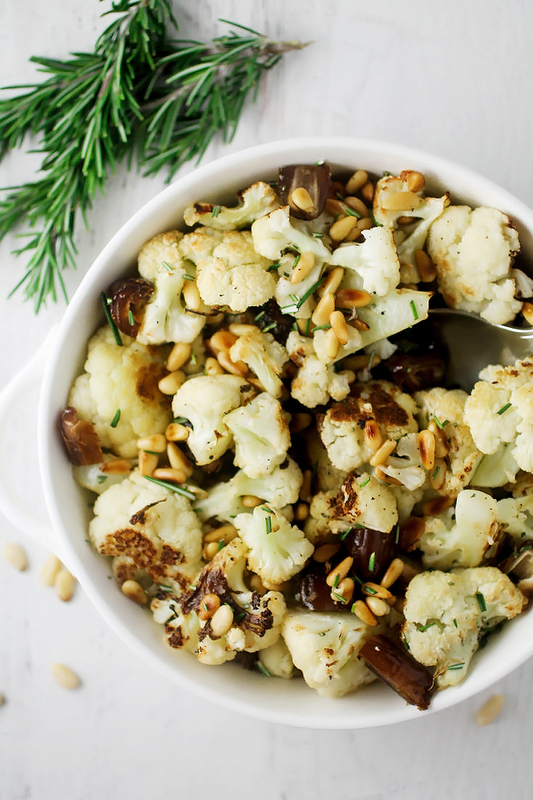 I love the pine nuts and cauliflower combo!